Yesterday after my post I went to Stroller Strides and got in a great but very modified workout in. My knee had been really swollen, tight and painful since Friday morning but as always I pushed through the pain and did what I loved to do, workout with my friends. Right after class I called my Orthopedics office in hopes of a cancellation so I could go in, discuss my MRI results and figure out our course of treatment. They had a last minute spot at 11:30 am and needless to say the appointment didn't go as I had hoped. I want to discuss everything in detail so I will share that in a separate post later this week but I spent a lot of yesterday in tears and in pain. Thankfully after I left the almost two hour appointment I came home to some happy surprise mail in the form of a PopSugar Must Have Box! For January the focus was on self care which is something I am really trying to practice more of in 2017. Since becoming a mom I have put my needs on the very back burner of life and it shows, I am in desperate need of a haircut and color, pedicure and gym pants without holes in the knees, but I digress. Upon opening the box I was pleasantly surprised to see a yoga mat towel, yoga is something I need to practice more in 2017 as well, but I was ecstatic for the hair wrap towel. I have always wanted one for myself but could never justify buying it, no matter how cheap they can be it just seemed unnecessary to spend money on. The yoga towel will be joining me tonight for my BodyBack class where I can really put the sweat activated grip to the test. I have a Manduka yoga mat (which my mom is currently "borrowing" ) that I love so I am excited to try another product of theirs. 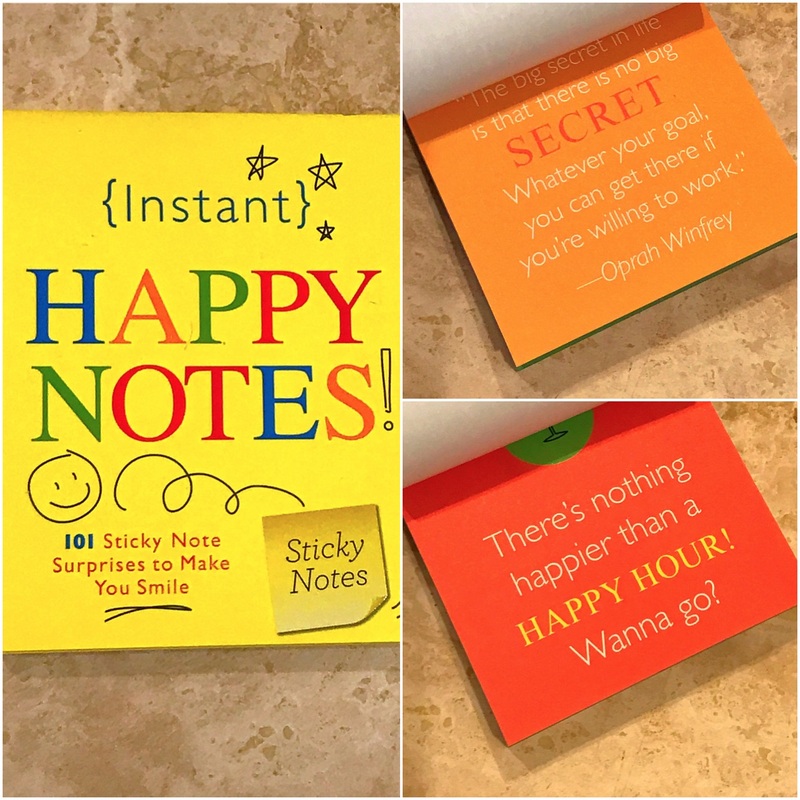 These little sticky notes were just what I needed yesterday. 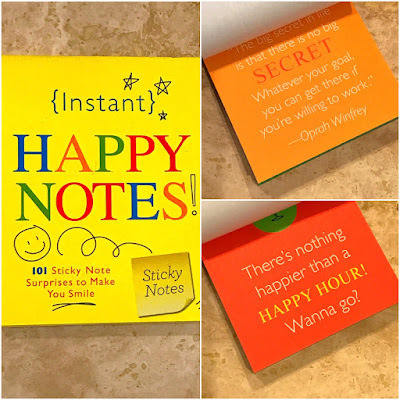 I thought they may be fun to leave randomly around the house for Eddie or when I visit someone else's home, I may go as far as putting them in a public bathroom! You never know whose day you're changing with a simple smile or compliment, right? 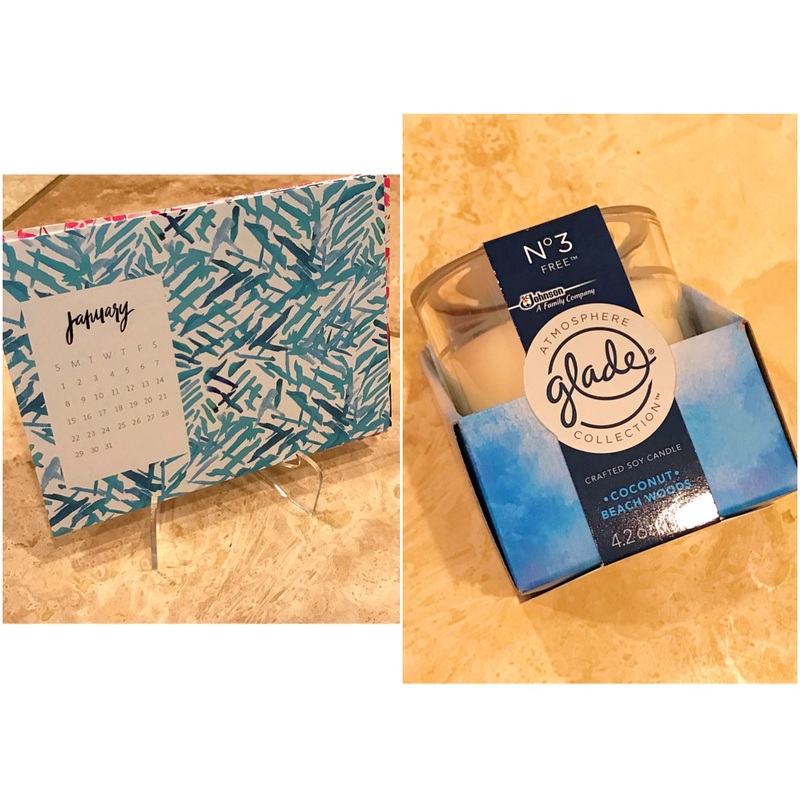 This May Designs calendar and Glade candle went right into our guest room, it's always nice for friends and family to have a space that smells nice and tells you what day it is, right? And last but not least a facial peel. To be honest, this is something I will most likely pass along to my mom or a friend, it's just not "me." Overall, I loved this months PopSugar Must Have box and I am looking forward to seeing what comes next month.